Join us for a special festive meal of Moshiach as we close out the holiday of Pesach. 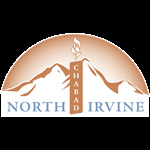 Please join us for meaningful, comprehensive, and enjoyable Shabbat Services. The Shabbat morning prayers are followed by a delicious Kiddush, good conversation and great company. This is a wonderful opportunity to meet new people and make great friends!